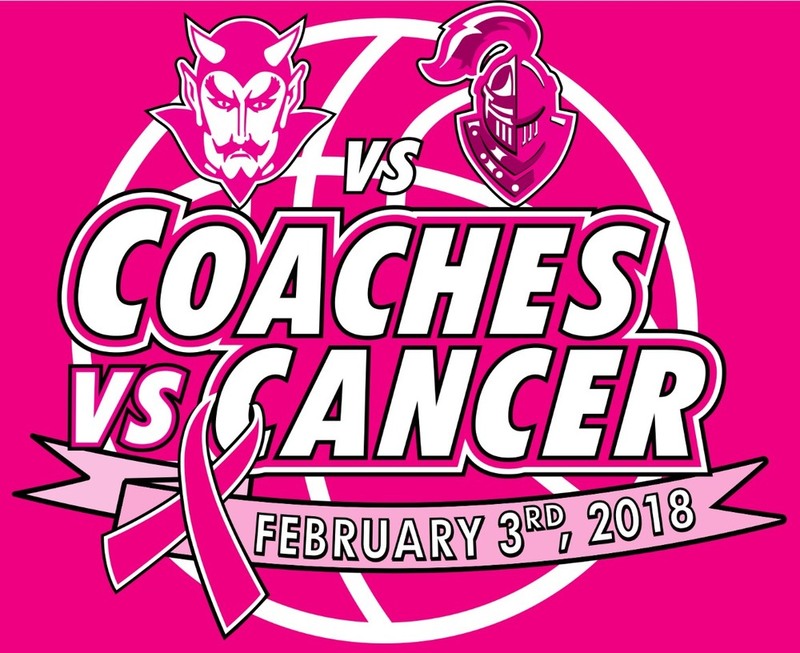 The 9th annual Coaches vs. Cancer basketball game will be held on Saturday, February 3, 2018 in the Mount Morris CSD gym. The MMCSD Varsity Girls’ basketball team will take on York at 6:00 pm followed by the Varsity Boys’ basketball team at approximately 7:30 pm. The MMCSD Student Council will have raffle tickets, t-shirts and gift baskets available for purchase. All funds collected will be used to benefit local families battling cancer and for research through the local chapter of The American Cancer Society. T-shirts are on sale until January 19, 2018. To order, please send an email to Student Council Advisor Mr. Hussain (ohussain@mtmorriscsd.org) or Ms. Sheffield (ssheffield@mtmorriscsd.org) and include your name, shirt size(s), and method of payment. More information is available online at www.mtmorriscsd.org. We will also be recognizing MMCSD Senior Athletes between games. Please come out and show support for this wonderful cause and cheer on our Blue Devils.